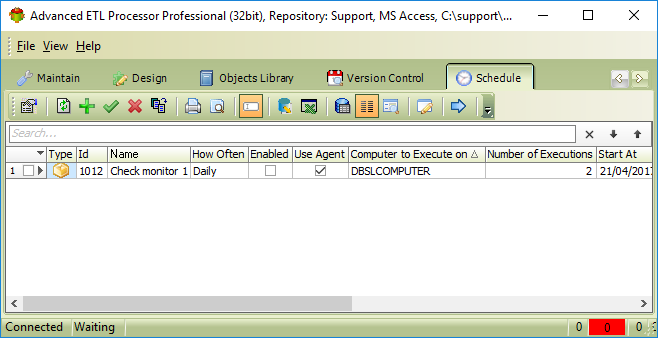 Once a Package, Transformation or SQL Script is created the Scheduler allows user to execute it on a regular basis. 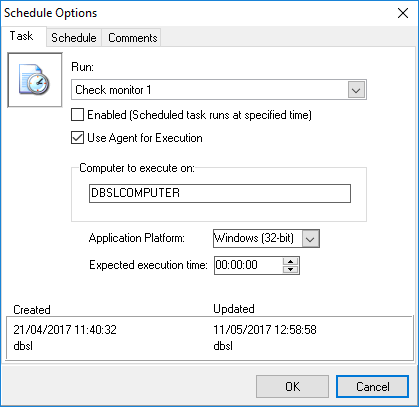 It may be executed once, daily, weekly, or monthly. 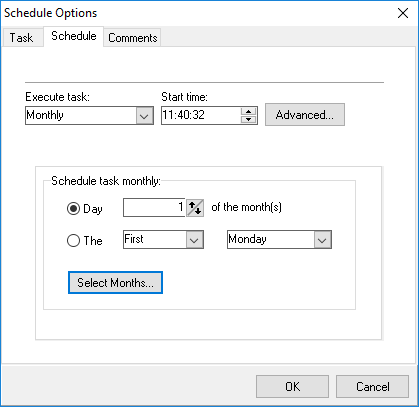 The user may also specify a day of the week or month when to execute it. 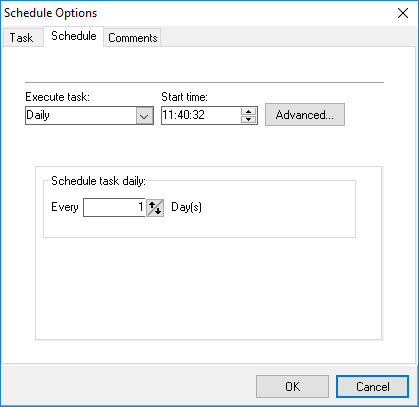 Advanced Schedule Options allows you to define execution boundaries. 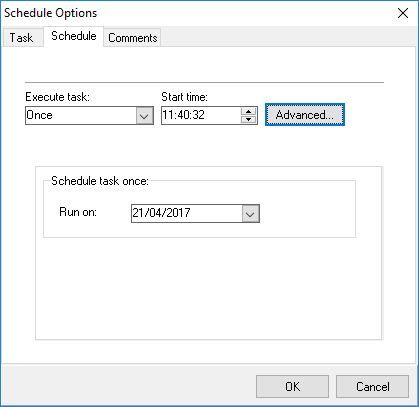 The user may specify the day of the week when to execute the batch. 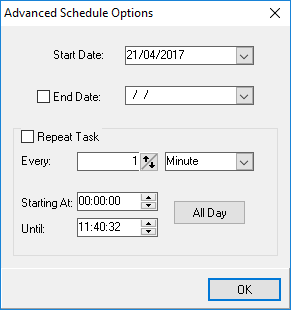 The user must specify at least one day of the week. 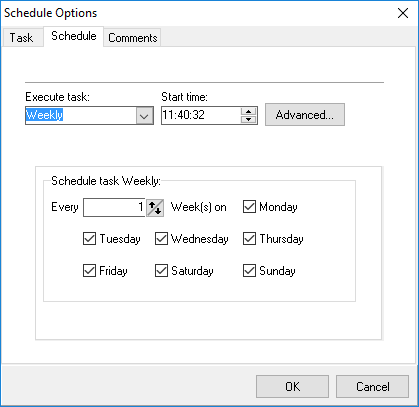 The user may specify the day of the week when to execute the batch. The user must specify at least one day of the week. 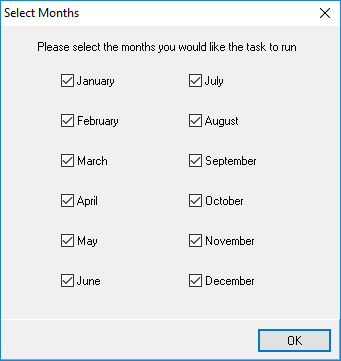 The user may specify the month when to execute the batch. The user must specify at least one month. 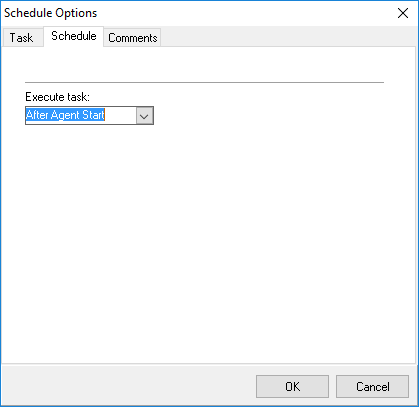 It is also possible to start action execution immediately after Agent starts.